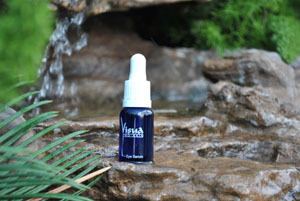 Super concentrated soft, silky liquid-gel that will not irritate the eyes. Intense reduction in depth and length of wrinkles, dark circles and puffiness of the eye area. Decrease in broken capillaries which contribute to puffiness and pigmentation. Great improvement in firmness and elasticity. Ensures instantaneous as well as lasting improvements. For ageless, youthful looking eyes.